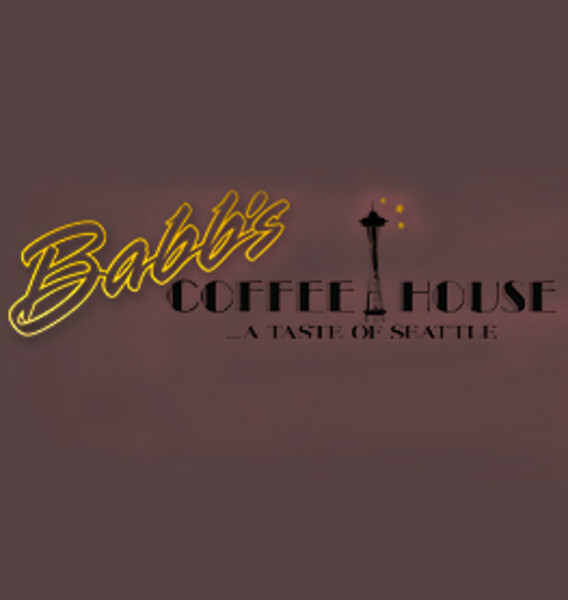 Escape to the Pacific Northwest for a few hours at Babb’s. The cozy interior is immediately welcoming – oversized leather couches, plush seats, wooden round tables, and a large neon sign modeled after Pike’s Place in Seattle will catch your eye first. Then you’ll notice the wall of locally-made products (some for sale) and rows on rows of flavored syrups used in their delicious coffee drinks. You can order everything from breakfast to paninis to sandwiches and quesadillas, but we first recommend you try any one of their coffee drinks… the coffee grounds are roasted fresh and air-lifted every week from Seattle for that smooth West Coast flavor. The Jamestown and Downtown Fargo locations offer elegant yet casual conference rooms for your next group meeting. It doesn't matter if its business, book club, study group, live music, or a poetry reading; we have had it all! We offer state of the art screens for presentations off of your laptop or mobile device. Internet is provided as well. Rates for the conference room are $25 per every 2hour or $100 for the full day. This is a non-refundable fee that must be paid in advance in order to reserve the conference room. There is an additional $50 charge if you bring outside food or drink in, otherwise, we can cater any budget big or small.